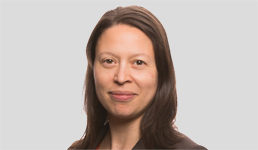 Jennifer Sireklove is a senior investment strategist at Parametric and can be reached at jsireklove@paraport.com. Responsible investing is an evolving space that covers a diverse set of considerations and priorities. And yet, investors have only two truly distinct portfolio construction methods to choose from. A screen builds a portfolio out of a subset of the eligible investment universe that meets specific environmental, social and governance (ESG) criteria. A tilt reweights the eligible investment universe with respect to each company’s ESG qualities. Portfolios may be constructed using either, or both of these methods. While both screens and tilts can enhance a portfolio’s ESG characteristics, they are quite different. Screens are needed when the ESG criteria are the most important and the list of acceptable investments must be delineated very precisely. Tilts are useful in cases where controlling portfolio impact is the primary concern but there is some flexibility in terms of acceptable ESG characteristics. An ESG screen divides the eligible investment universe such that only companies with acceptable business involvement or behaviors remain and those with objectionable characteristics or behaviors are excluded. In addition to typical business involvement issues such as tobacco or alcohol production, ESG screens can be used to address concerns around topics such as environmental protection, social justice, or fair governance. To make a screen operational, a metric and threshold of acceptability must be specified. Examples of thresholds include: any evidence of fossil fuel reserves, more than 20% of revenues from selling alcohol or fewer than two women on the board of directors. Many mandates require that multiple screens are used in combination. The end result of a screen is a list of securities that pass the specified criteria and can be used to build the final portfolio. In the case of multiple criteria, securities must pass all of the screens jointly to remain eligible for investment. The list that results from the screen is simply that: a list of companies. It does not assign weights to any of the securities that pass, or indicate whether a company’s characteristics are well above the screen threshold or just barely. An ESG tilt refers to a quantitative process in which company-level ESG characteristics are used to select and weight the portfolio constituents. This process generally strives to overweight companies with better ESG characteristics and underweight those with worse ones – but it is not designed to necessarily omit any securities outright, as a screen does. To create a tilted portfolio, a single metric and set of constraints is required. Examples of metrics include a comprehensive ESG score or carbon emissions. Examples of constraints include sector weights or factor exposures. The end result is a portfolio with both a list of securities and associated weights that can be used to invest. A consequence of the tradeoffs that must be made when balancing competing objectives is that ESG characteristics are viewed on a relative rather than absolute basis. For this reason, a tilt is best for mandates in which the ESG criteria are somewhat flexible, whereas screens are best for issues for which the threshold for acceptability is inviolable. Screens and tilts are distinct portfolio construction approaches and are essential tools for responsible investors. Screens are necessary for cases in which the ESG criteria are primary and tracking error can be a secondary consideration. Tilts can be useful in mandates that are particularly tracking error-sensitive and are able to be flexible about which securities are included. By assessing their sensitivity to tracking error and flexibility around ESG criteria, investors can begin to determine the portfolio construction approach that best matches their goals. Are You Worried About Recession?